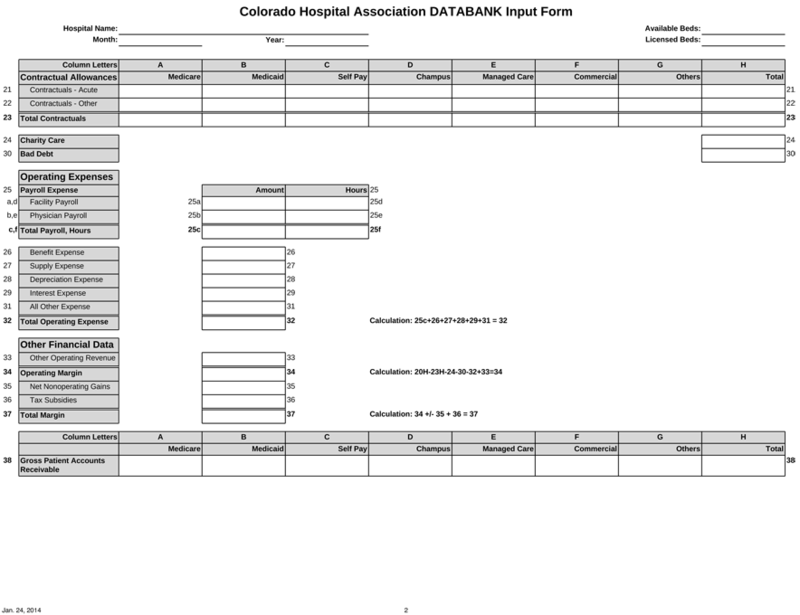 DATABANK collects data from the hospital that is routinely reported to their board. The required data should take no more than an hour per month to submit. Every month, hundreds of hospitals across the country, from large urban hospitals to small critical access hospitals submit their information to DATABANK. Participants reap the many benefits of participation. 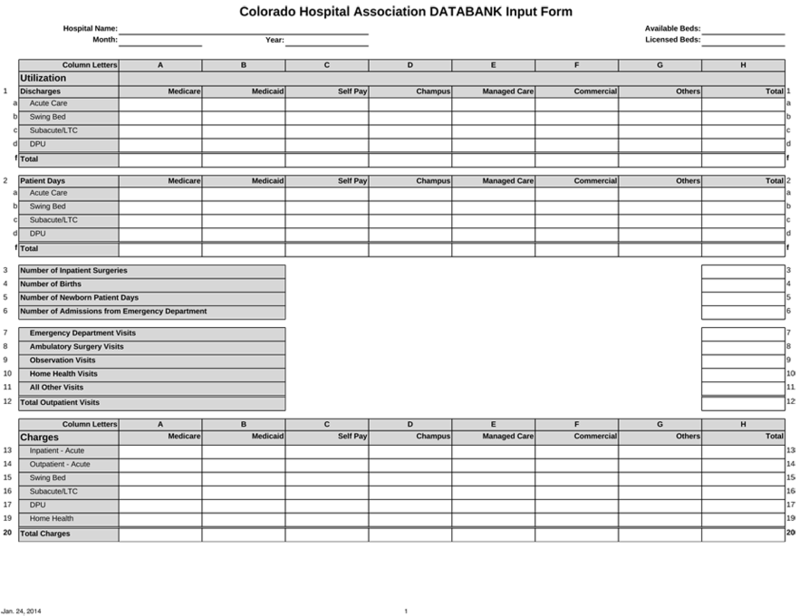 As the form below shows, the required data is typically available in most hospitals since boards review their financials at their monthly meetings and want to know how their hospital compares to other "like" hospitals. DATABANK is the tool to help healthcare executives understand their hospital's data in relation to their peers. For the person submitting the data, once they understand where to gather the data from their IT system, it only takes an hour per month to submit the data. Once the data is submitted, the hospital realizes the benefits of having easy access to timely, useful and comparable data. 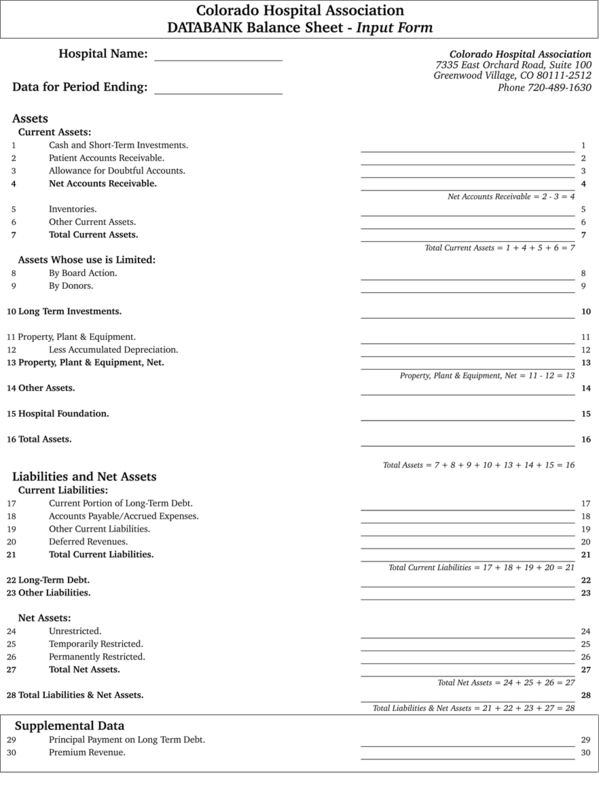 In order to achieve comparability across hospitals, DATABANK definitions are generally consistent with the AICPA Audit and Accounting Guide for Health Care Organizations and Generally Accepted Accounting Principles (GAAP).